In case you can't tell, I'm still figuring out the formatting of the site, and, in general, how to blog. Earlier this month, on July 4th, the New Jersey Devils signed forward Mike Cammalleri to a five year contract with an AAV of $5 million. 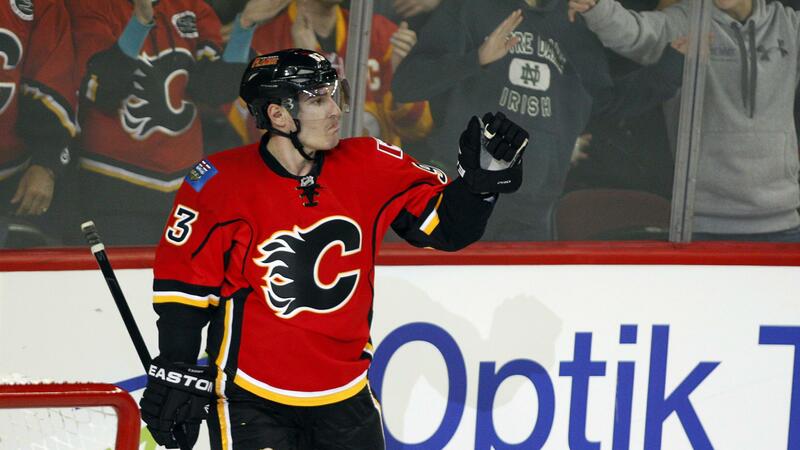 Cammalleri is 32 years old and scored 45 points in 63 games for the Calgary Flames last season, including 26 goals. The biggest and earliest impact that Cammalleri will bring to the Devils is a boost in even strength (5 v 5) scoring, an area where the Devils have severely lacked in the past few seasons. Looking at some info from HockeyAnalysis.com, Cammalleri boasted an average 1.237 goals per 60 minutes of even strength ice time. Above is a screenshot of his statistics in this category. While Cammalleri's 63 games played is a lower sample size, his 1.237 G/60 (of even strength) stat is comparable to the Devils leading goal-scorer for the 2013-2014 season, Adam Henrique. In 77 games, Henrique scored 25 goals, and his even strength goals per 60 minutes stat is 0.848. So what does this mean? It means Cammalleri has big shoes to fill as a top-notch goal scorer for the Devils, which was the main reasoning behind his signing. Good news for Devils fans though, Cammalleri is a top-line left winger, something that the team has been looking for since the departure of Zach Parise and Ilya Kovalchuk to free agency and retirement, respectively. Why is this good news? Because as much as I like Dainius Zubrus, he (Zubrus) does not belong on the top offensive line. Cammalleri will fit in much better with the cycling system of Zajac and Jagr. Another player lost to free agency recently was David Clarkson, a player fairly well-known to Devils fans. The main reason why his departure hurt the Devils (and why Cammalleri's signing helps the Devils) is because Clarkson was a "volume shooter". This means exactly what it sounds like, Clarkson shot the puck very often. Oftentimes in cycling systems, the emphasis is placed on passing over shooting. (The idea of a cycling system is to essentially keep passing the puck to get the defense out of position for the "perfect shot"). Cammalleri is a different scenario however, for the most part. While Cammalleri does pass the puck often, he had 191 shots on goal last season, including 65 missed shots and 87 blocked shots. So all in all, he had 343 corsi events last season. If his stats were directly compared to the Devils players this past season, Cammalleri would be in 2nd on the team in shots on goal and individual corsi events (both of which he is behind Jaromir Jagr). Delving further into statistics, looking at the on-ice event statistics of the past season, there is a statistic called PShr, which stands for Point Share. This is an important measurement of the productivity of a player while he is on the ice. If a player is on the ice for 82 goals in a season, and records 61 points from those goals, this player would have a PShr of 74.4%. The past season, Cammalleri had a 81.1% PShr, which means he scored a point on 81.1% of the goals he was on the ice for. This was good enough for 22nd overall in the league last year. He also had a 54.1% on-ice goal percentage, which means that of the goals Cammalleri was on the ice for last season, he scored 54.1% of them, which was good enough for 5th overall in the league. Compared to the Devils roster, Cammalleri's PShr would be the highest on the team, with Patrik Elias's 77.4% currently leading the team. The highest on-ice goal percentage player on the Devils from last season was Ryan Carter, with a 58.3% on-ice goal percentage, so Cammalleri would be 2nd in that category. So, after looking at some preliminary offensive and possession statistics, Mike Cammalleri is going to do to wonders as a top-line winger for the New Jersey Devils. If Jaromir Jagr has the same type of season, production-wise (one can hope...the man is pretty much the epitome of physical fitness), and with a competent linemate on the top line, Jagr could most definitely top 70 points next season. Zajac's point production could also see a boost next season as well. Optimistically, I could see Zajac scoring in the 50-60 point range. Cammalleri will provide the finishing touch to top line that the Devils have been desperately craving. Is he the solution to the lack of offense? No, but this signing is most definitely a step in the right direction. I'm not going to break down every one of his goals, but what I have noticed are two very important factors that lead to Cammalleri's scoring ability. The first is his ability to score from the right face-off circle. This can be seen in the very first goal shown in the video. The puck is passed across the crease to him, he goes down to one knee, and slaps it into the net. The second, and most important, thing to note when looking at his goal scoring is the ability he has to make space for himself and teammates in the slot. (The slot is the area of the ice directly between the faceoff dots, and stretches down to the goal crease). I'd like to quickly talk about the 4th goal shown in the video. This is the one where he passes to Monahan for the tying goal against the Red Wings. The reason why this goal in particular is exciting news for Devils fans is because Cammalleri makes a play off the puck being dumped in off the far boards. He then makes a great pass to Monahan going towards the goal, which creates space for him in the slot to make a well-placed shot over the goaltender's shoulder. Long story short, this is dump and chase hockey at its finest. No time is wasted, and a good scoring chance is created, and taken advantage of. The other majority of Cammalleri's goals are rebounds and tip-ins, exactly the type of goals that thrive in the system of the New Jersey Devils. He also has quick hands, very quick hands, as can be seen in his goal against the Colorado Avalanche (around the 8:04 mark of the video). My biggest concern about Cammalleri would be his ability to stay healthy. The last time he played 81 games in a season was in the 2008-2009 season (including 44 games in the 2012-2013 lockout shortened season). And while 5 years is a bit long for a 32 year old, the Devils especially know about having players 35+ years of age. And for the $5 million yearly cap hit? It may be a bit much, but that's what happens in free agency: salaries are slightly (or drastically) inflated. However, Cammalleri's $5 million cap hit is not too awful when compared to other recently-signed free agents such as Benoit Pouliot signing at $4 million per year, of Dave Bolland, signing at $5.5 million per year. HockeyAnalysis.com). I'd also like to note that the above charts were not compiled by me. 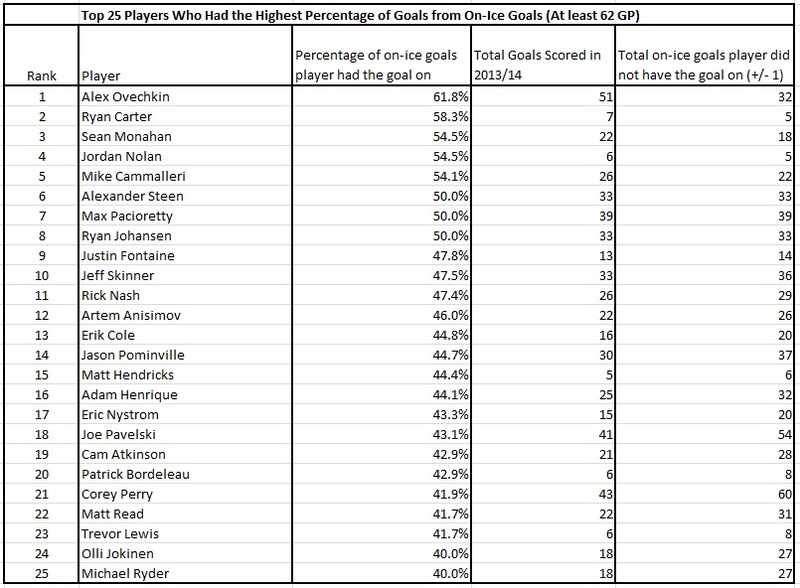 The data in them was gathered from the aforementioned sites, but compiled by a user from /r/hockey. ...and yes, Cammalleri can score in the shootout. Did you make those PShr tables? No I did not though. I included a late edit for source because I need to site my information better. 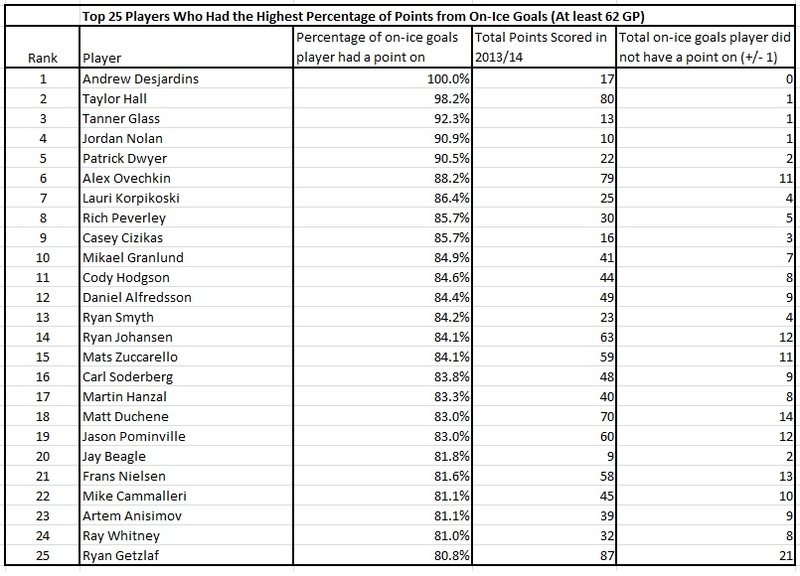 The data itself is available on ExtraSkater.com, but was compiled by the reddit user /u/TimeToDoubleDip on /r/hockey.